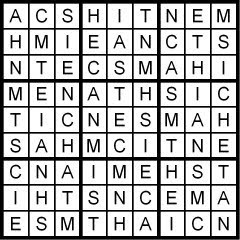 Halloween has its roots in both a Celtic end-of-harvest-season festival a Christian holy day, All Saints’ Day. 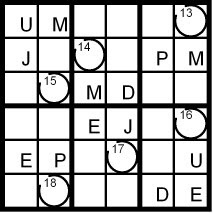 The day is full of imagery: the jack-o'-lantern; trick-or-treating in costumes; costume parties, visiting haunted houses; even reading scary stories. 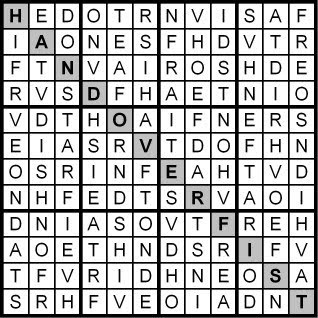 Why the supernatural/scary connection? 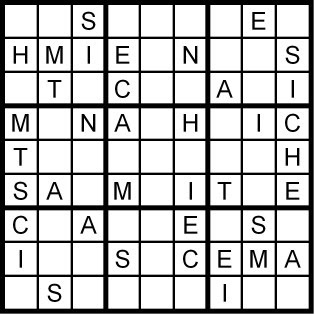 According to Wikipedia (http://en.wikipedia.org/wiki/Halloween), perhaps this is because the ancient Celts believed that on this day the line between the living and the dead dissolved, allowing the latter to cross back into our world to wreak havoc for one night. 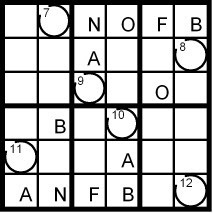 Yesterday’s Classic Word Sudoku puzzle was based on the words PHONE CARD. 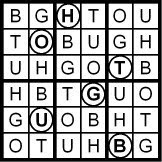 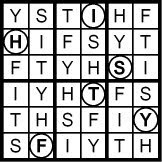 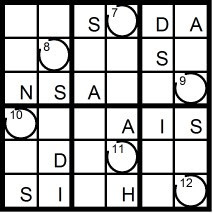 Today’s 9x9 Classic Word Sudoku puzzle is based on the words PHONE CARD. 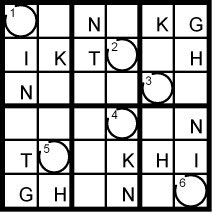 Yesterday’s Classic Word Sudoku puzzle was based on the word HYDRAZINE. 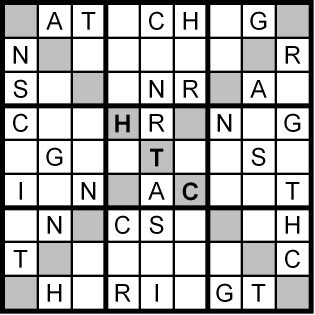 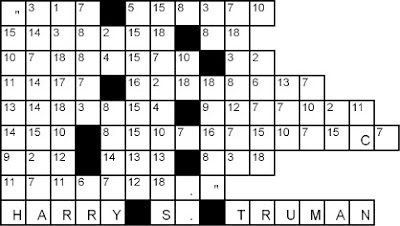 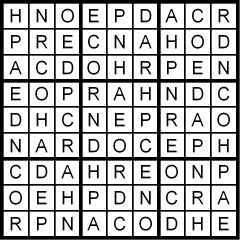 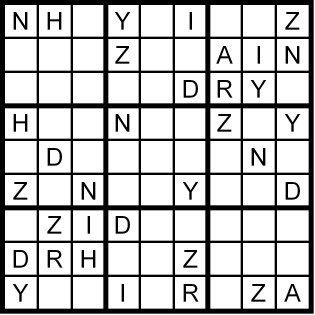 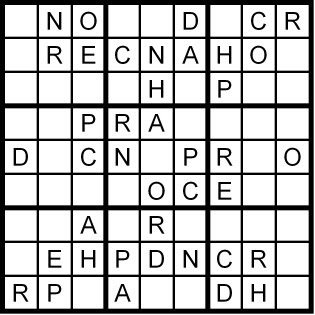 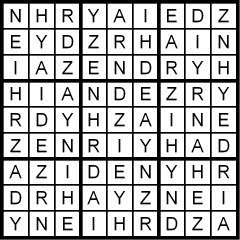 Today’s 9x9 Classic Word Sudoku puzzle is based on the word HYDRAZINE. 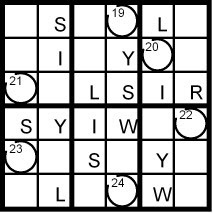 Yesterday’s Classic Word Sudoku puzzle was based on the word MECHANIST. 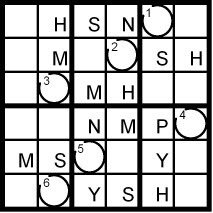 Today’s 9x9 Classic Word Sudoku puzzle is based on the word MECHANIST. 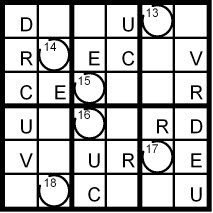 Yesterday’s Classic Word Sudoku puzzle was based on the word PANEGYRIC. 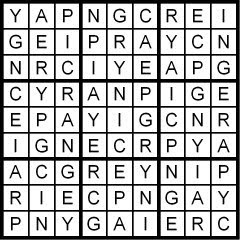 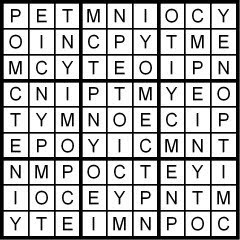 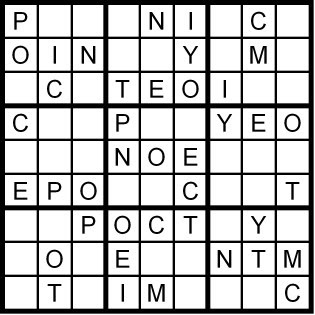 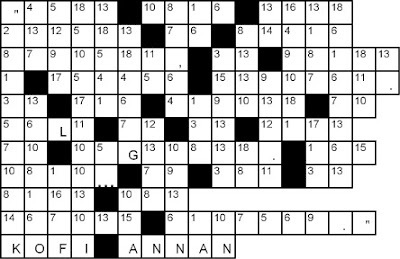 Today’s 9x9 Classic Word Sudoku puzzle is based on the word PANEGYRIC. 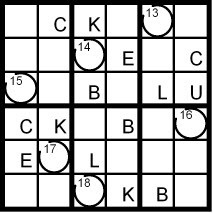 Yesterday’s Diagonal Sudoku puzzle was based on the anagram CHARTINGS. 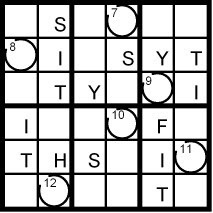 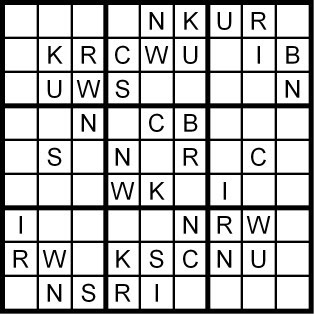 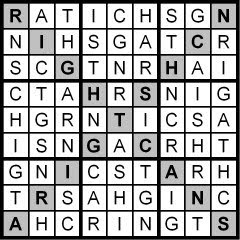 Today’s 9x9 Diagonal Word Sudoku puzzle is based on the letters in the word CHARTINGS. 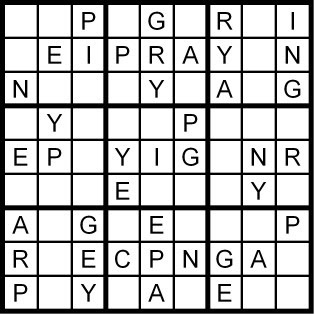 Yesterday’s Sunday Challenge Hidden Word Sudoku puzzle was based on the letters in the anagram FAITH VENDORS. 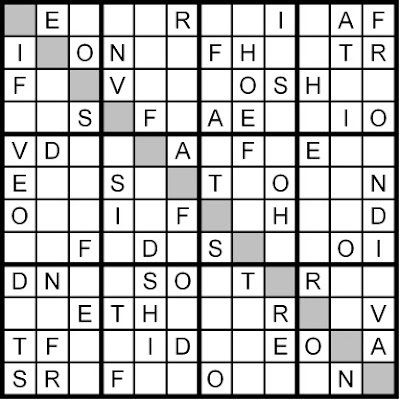 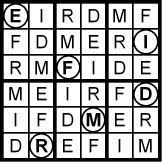 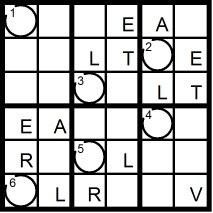 Today’s 12x12 Hidden Word Sudoku puzzle is based on the letters in the anagram FAITH VENDORS. 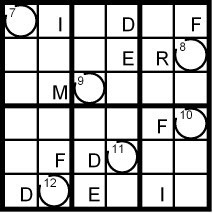 Yesterday’s Qudoku puzzle sets commemorated United Nations Day. 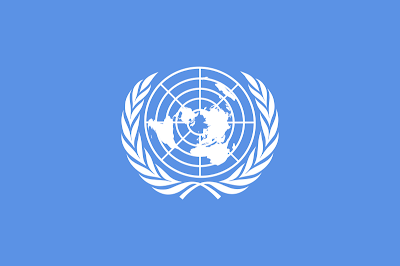 Today is United Nations Day, a day celebrating all of the peoples that came together to form the United Nations. On this date in 1945, the United Nations Charter was adopted. 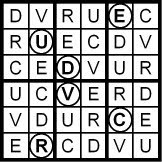 But UN day is meant to celebrate more than just a birthday: it’s meant to remind us what the world body stands for: international economic development, security, social progress, human rights and world peace. The UN General Assembly established the holiday in 1948. 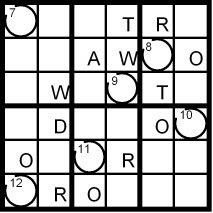 Yesterday’s Classic Word Sudoku puzzle was based on the word IMPOTENCY. 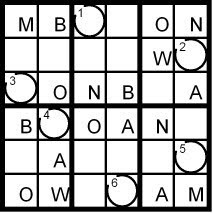 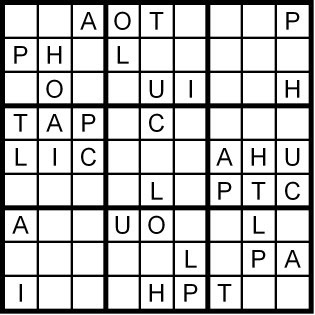 Today’s 9x9 Classic Word Sudoku puzzle is based on the word IMPOTENCY. 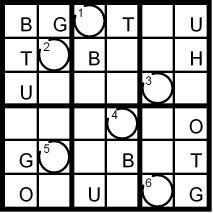 Yesterday’s Classic Word Sudoku puzzle was based on the word QUANTILES. 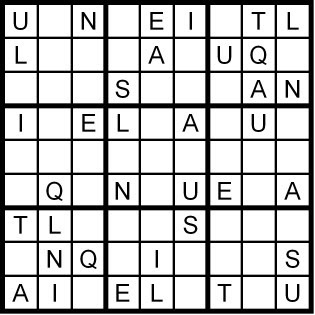 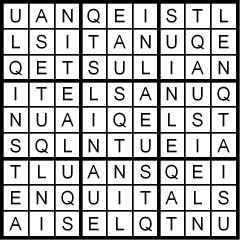 Today’s 9x9 Classic Word Sudoku puzzle is based on the word QUANTILES. 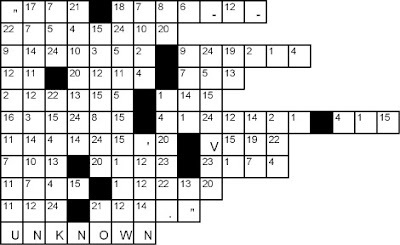 Yesterday’s Classic Word Sudoku puzzle was based on the word BRUNSWICK. 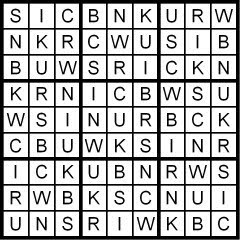 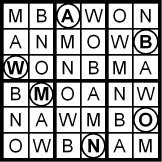 Today’s 9x9 Classic Word Sudoku puzzle is based on the word BRUNSWICK. 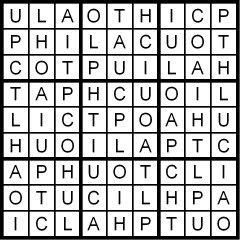 Yesterday’s Classic Word Sudoku puzzle was based on the word PATCHOULI. 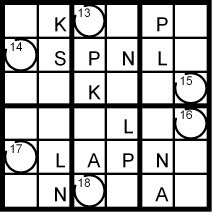 Today’s 9x9 Classic Word Sudoku puzzle is based on the word PATCHOULI.